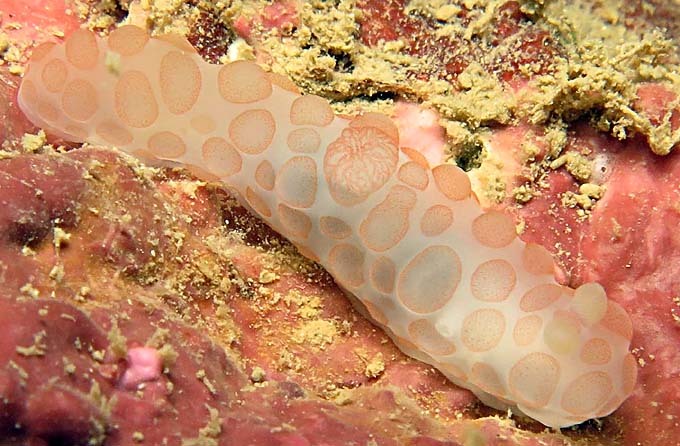 It has a small gill which is dusted in pale orange. 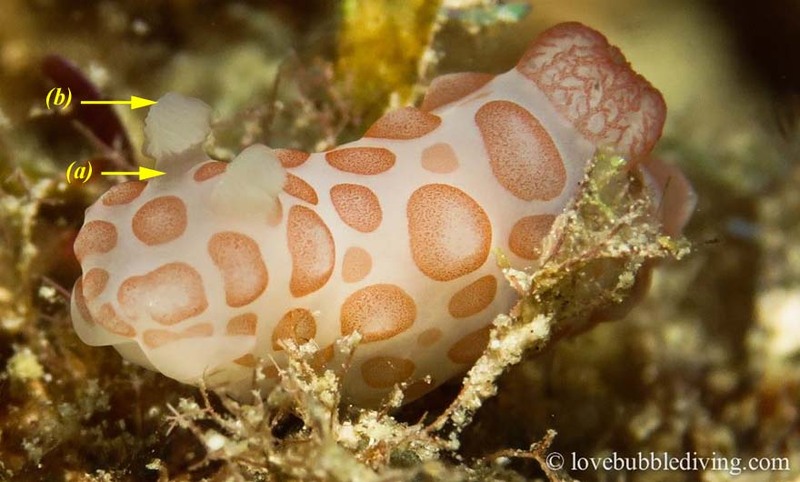 According Lindsay Warren " In private communication with Gymnodoris specialist, Vanessa Knutson , she indicated that this specimen has been sequenced but as yet she has not been able to analyse the data, so it may or may not be a juvenile G. rubropapulosa or a distinct species. We will all just have to wait and see"